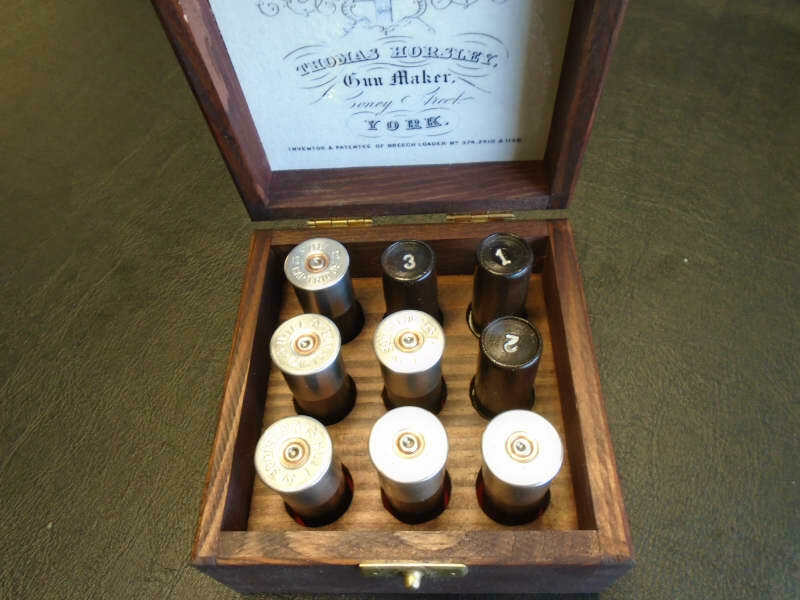 Thomas Horsley cartridge peg finder. 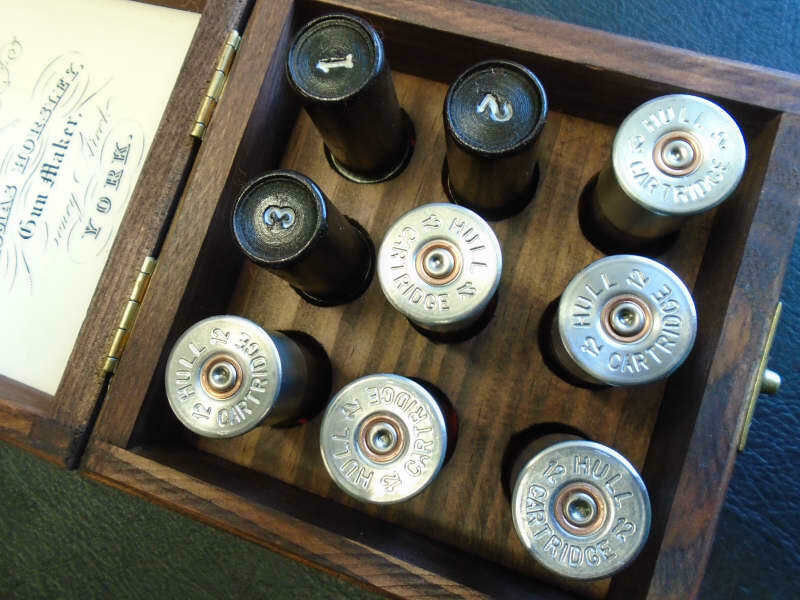 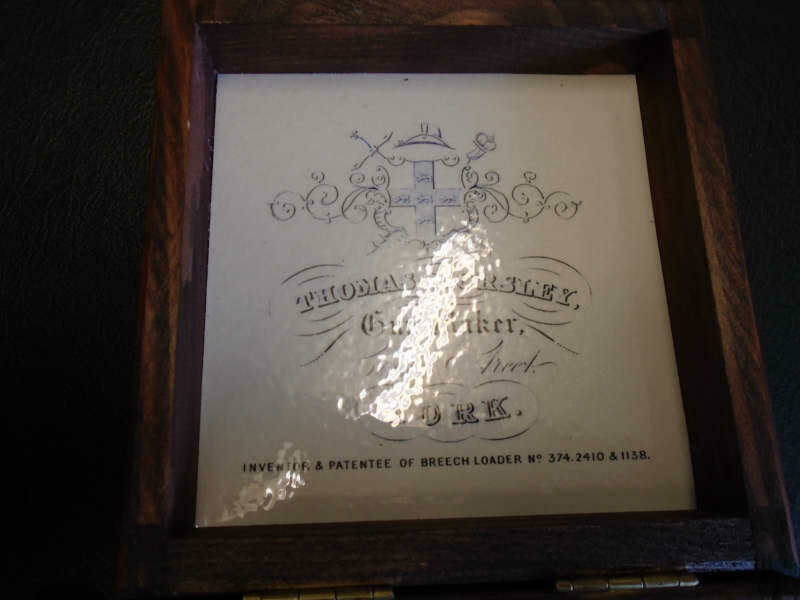 A set of Walnut cartridges with nickel coloured caps numbered 1 to 9 in a matching wooden box with Thomas Horsley reproduction trade label in the lid. 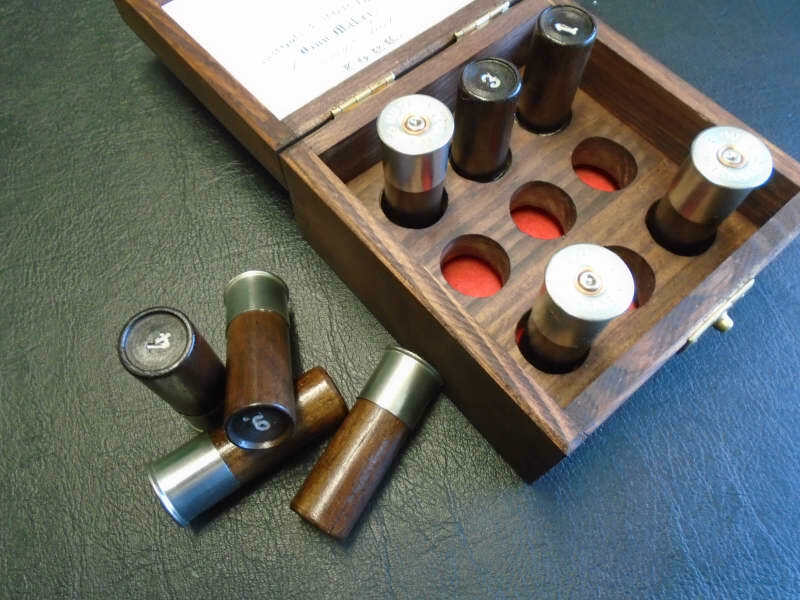 Dimensions: 12cms x 12cms x 7cm.